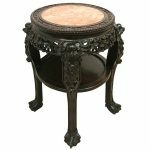 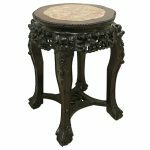 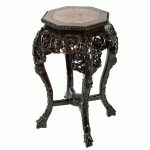 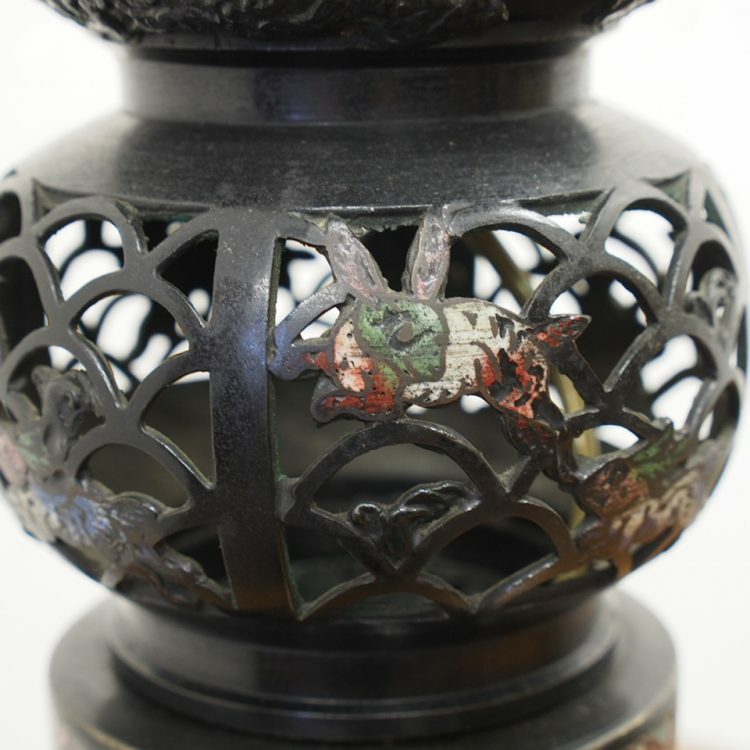 Categories: 1868-1912: Meiji period, Oriental, Table Lamps Ref: 26590. 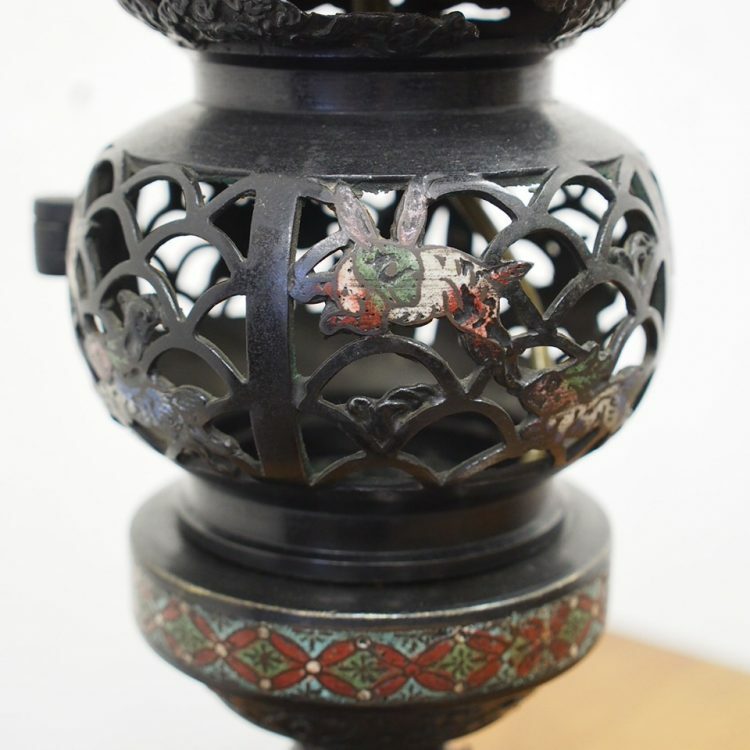 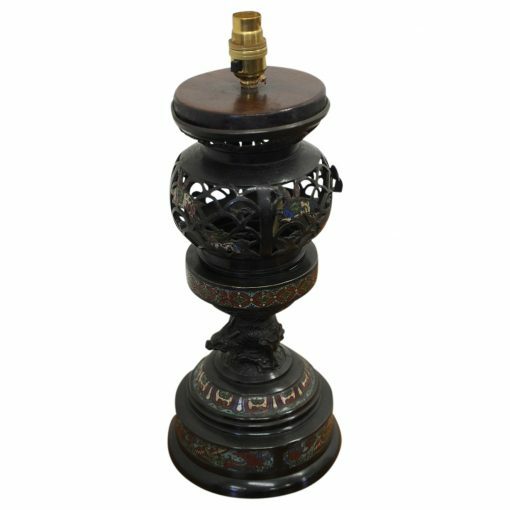 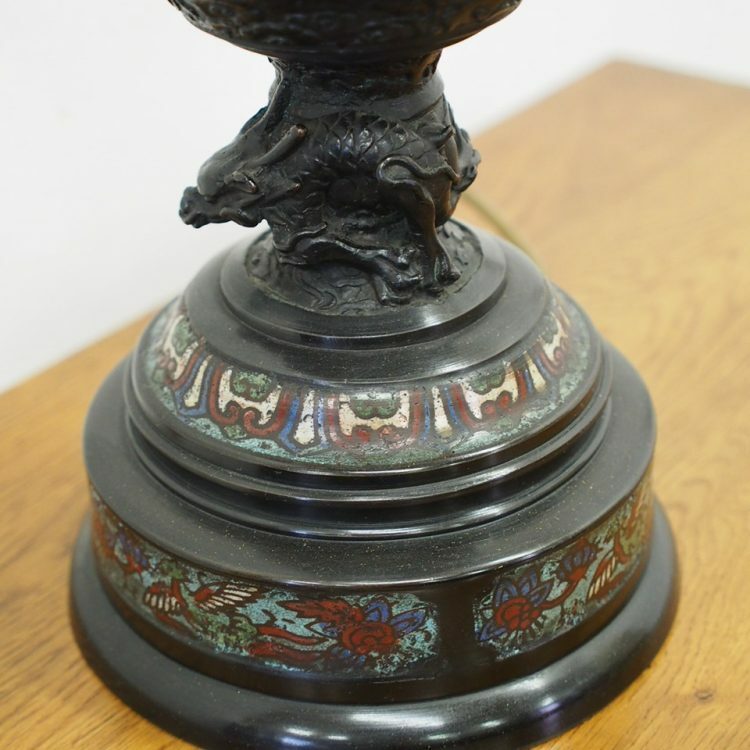 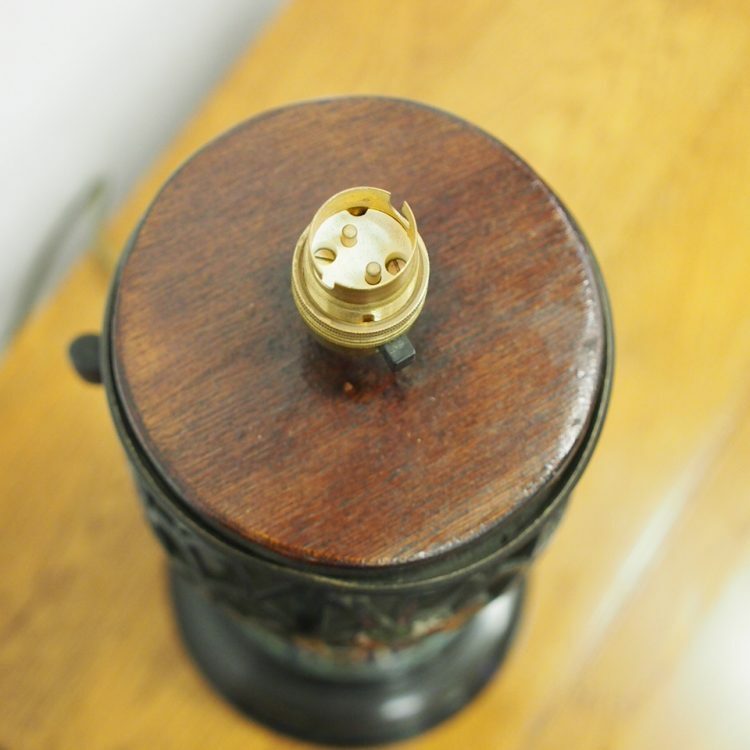 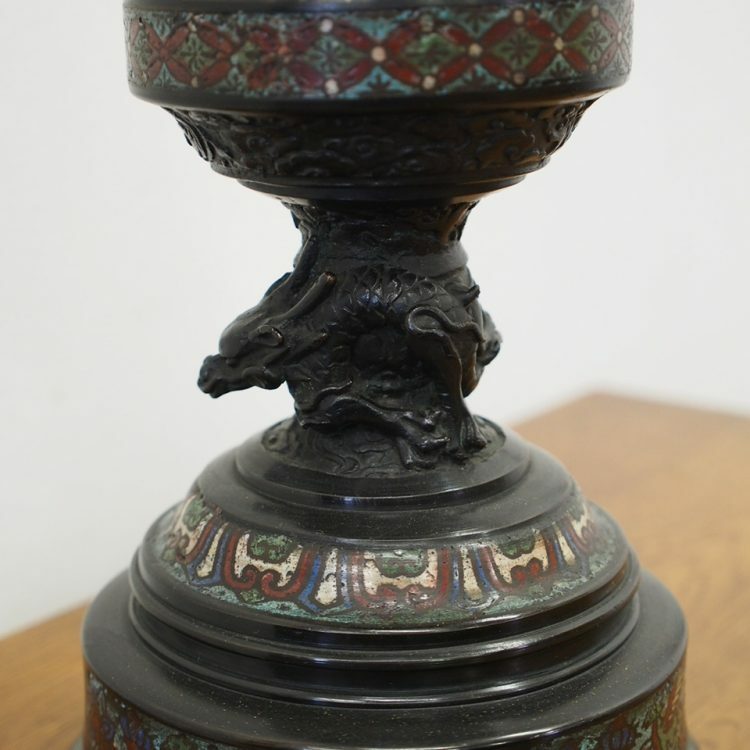 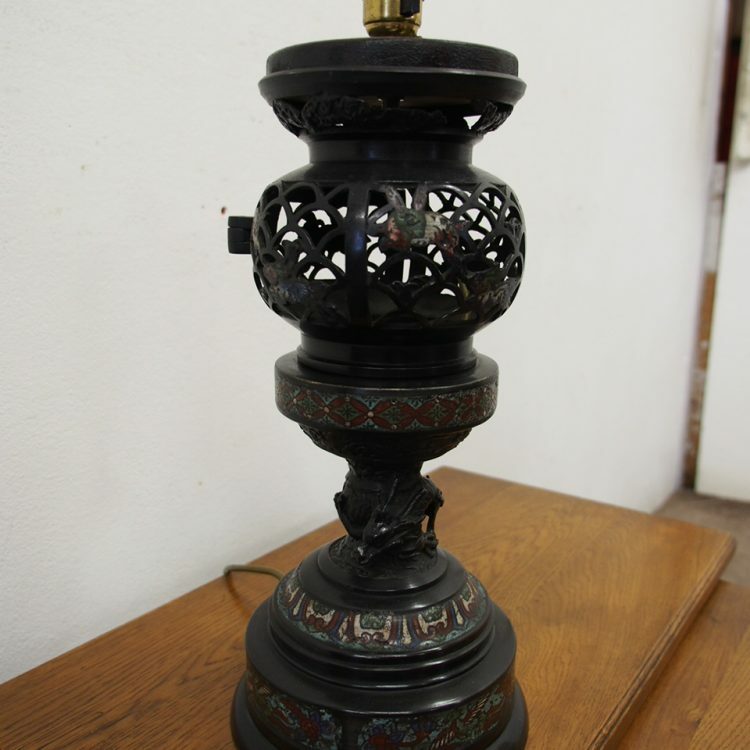 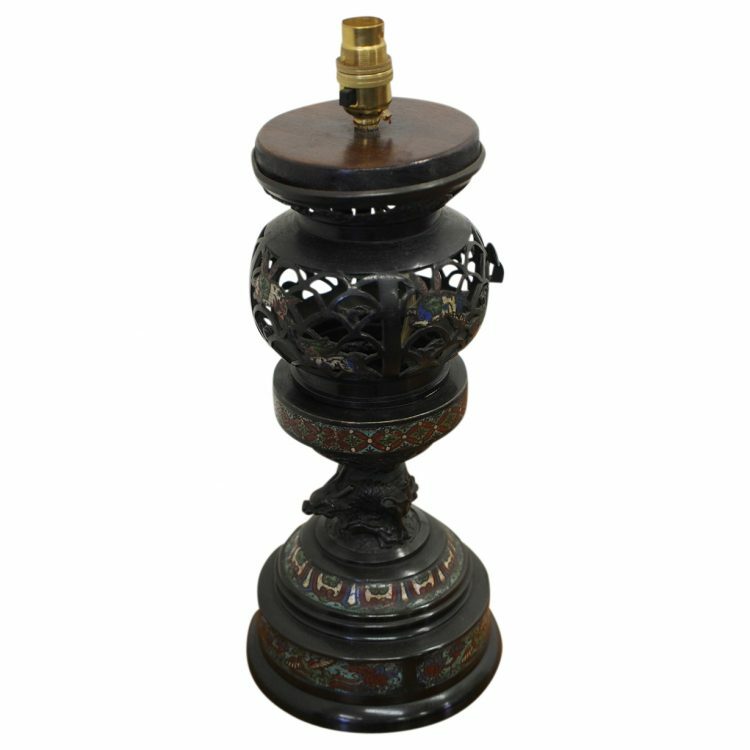 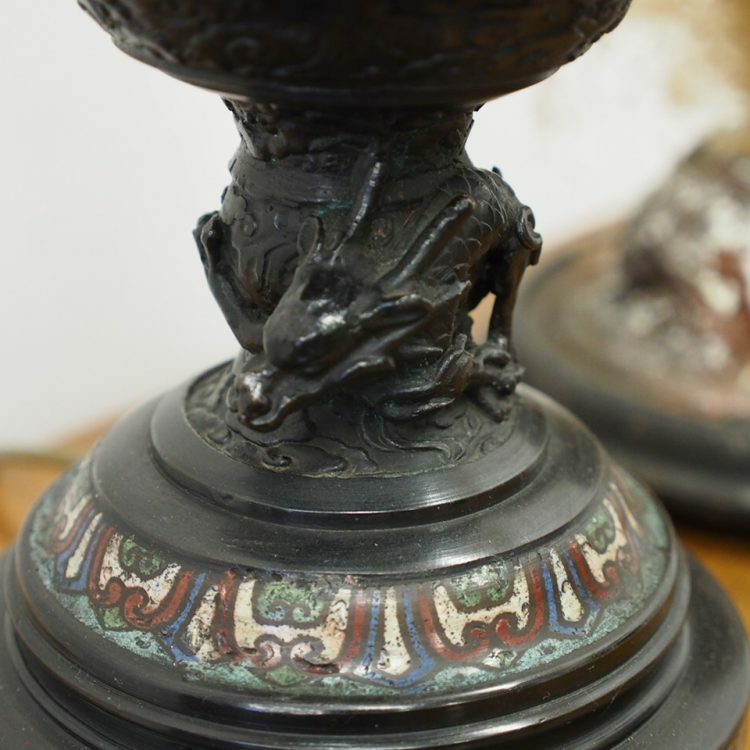 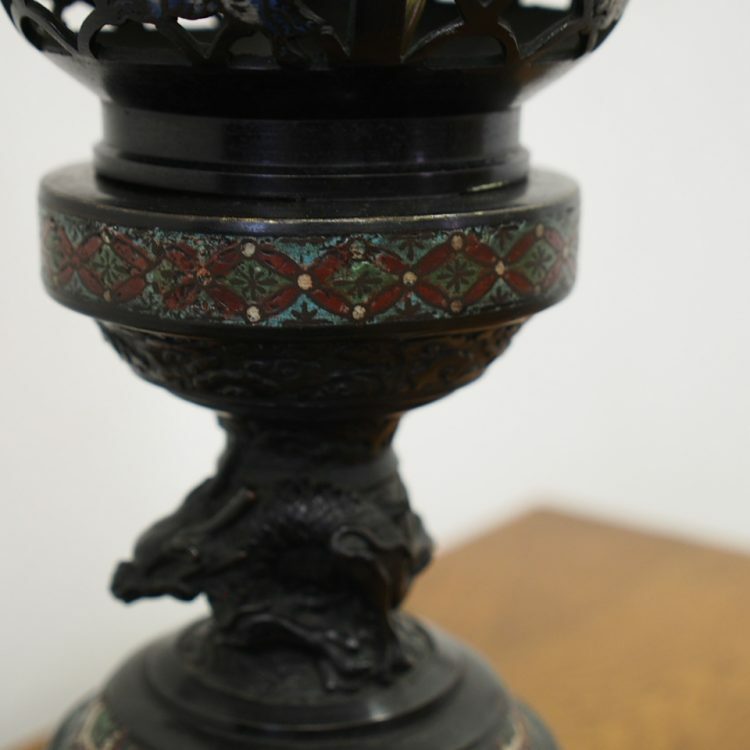 Circa 1880, Meiji period champlevé enamel bronze censer now adapted as a lamp. 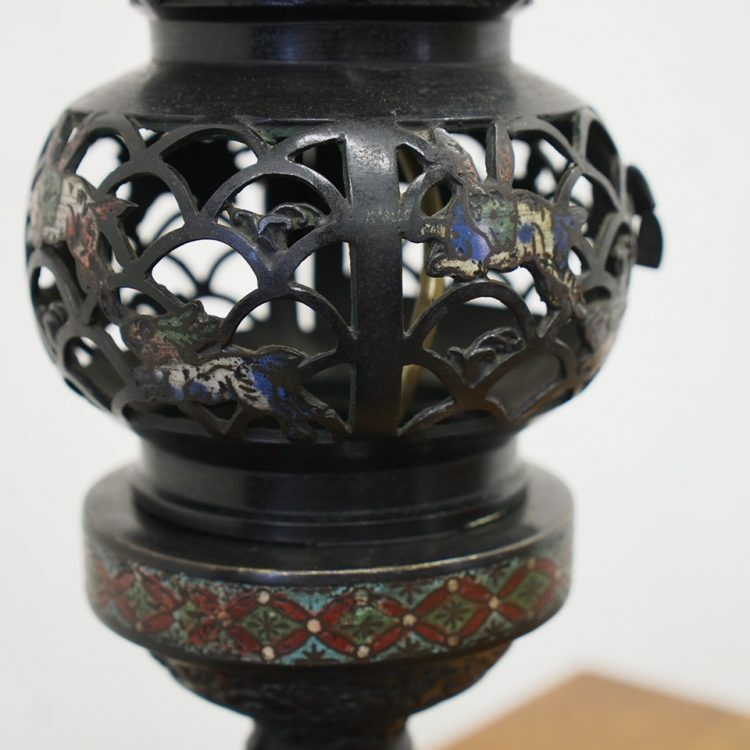 The pierced and enamelled lantern top with an opening door sits above an elaborate base with champlevé and an encircled dragon decoration.